Open Friday to Monday for the long Easter weekend. Tickets are £10 per person. Teams of 2-6 recommended. Ticket includes two-course meal donated by Horam Home Kitchen, plus entry into the quiz. There will be a raffle on the night too with some great prizes donated by local businesses. If you'd like us to get in touch when we have specific details about this, please sign-up for notifications about this event by clicking here. We're pleased to announce that we have some spaces available for the official opening of the Hidden Spring Winery. We have a special guest who will formally open the winery at 4pm and will have canapés, drinks and a series of displays showing the history of Hidden Spring over the last 30+ years. We will also be releasing our 2017 Bacchus on the day so be the first to try our new vintage - part barrel fermented giving it a touch of magic! Tickets for this event are free, but strictly limited. If you'd like to attend, please register below. From Saturday 26th May to Sunday 3rd June we will be celebrating all that's great about English Wine with sparkling and still wines to try by the glass and the chance to take a stroll in the vineyard which has been freshly trimmed for the occasion and is looking stunning! To celebrate the royal wedding, we’re showing it live at the vineyard on the big screen. Join us from 11 for special offers on our all-English wine and a selection of deli platters. 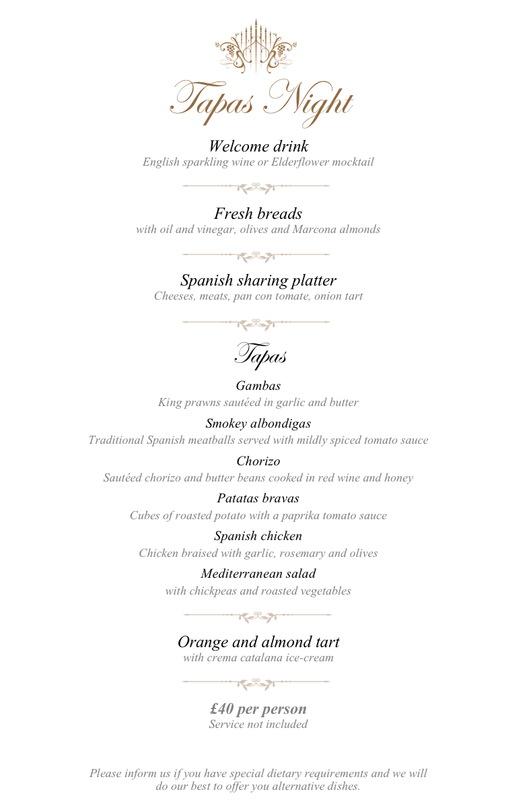 Join us on Saturday 5th May for our Gastronome's Dinner. Get married at the vineyard. Join us to find out how. Launching our 2016 vintage, 100% Bacchus grapes wine.